This tour starts at 7 am in the morning. 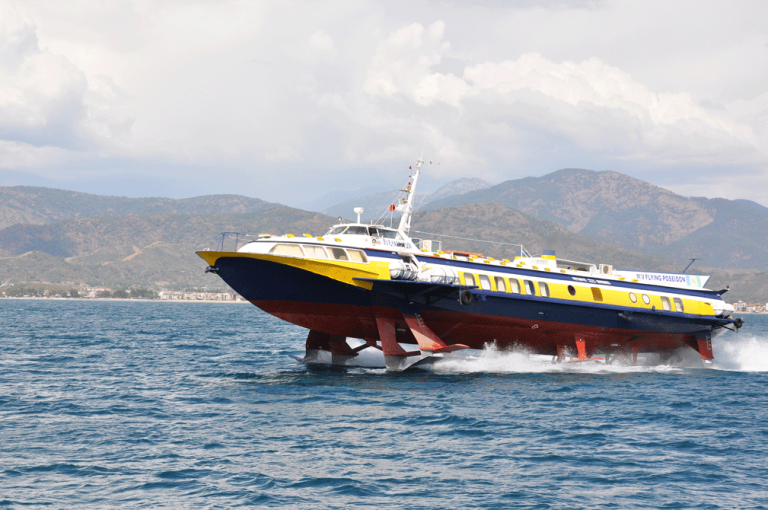 We will pick you up from your villa and first take you to our large and modern hydrofoils, and then withthese luxurious hydrofoils we will take you to one of the most popular and awesome islands in the Aegean Sea, the Rhodes of Greece. It a must see island with wonderful and warm blooded people, culture, and entertainments. We highly recommend you to join this tour if you have the chance.On the island of Rhodes you can find archeological artifacts from Hellenistic, Roman, Medieval, modern Greek and Ottoman eras. We will give you enough time so that you can explore the island, taste Greek foods and wines, listen to their music, make friends with warm blooded and kind Greek people and get to know their culture.